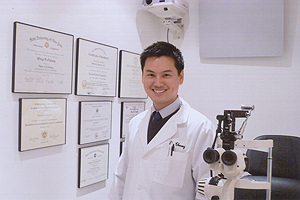 Dr. Cheung is a residency trained Doctor of Optometry. He graduated from SUNY, College of Optometry in 1999. He is licensed to practice full scope of primary eye care, including treatment and management of ocular disease. To accurately determine patients' spectacle and contact lens prescriptions, our office is equipped with an autorefractor and autokerotometer. A thorough eye examination, including screenings for glaucoma and cataract, is performed for all patients. Our staff is thoroughly trained and knowledgeable in all aspects of the optical field. Please feel free to ask for any professional advice. Our first priority is to assist you in choosing the most appropriate optical device. 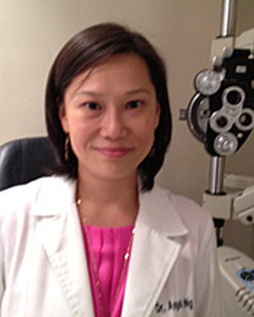 Dr Angela Ng has been part of Pacifc Optometry since 2003. She graduated from State University of New York, College of Optometry in 1999 and since has been a valuable doctor in Pacific Optometry.